India’s burgeoning economy and wealth is encouraging young entrepreneurs to invest in alternative markets. What are these alternative markets? These are antiques, art and fine wine to name a few. With very little to less knowledge on this topic I decided to attend a seminar by Phil Whittaker, director of Sotheby’s Institute of Art in Singapore. This is a recollection of notes from his talk at Gallery BMB. Who is the next big thing? He is often asked this question and so he answers by saying no one knows who the next big artist is and if they do then they are only trying to sell or promote a certain artist to you. It is very important to realize that investing in art is not to make a quick buck. One must collect art for themselves as the average holding period for art is about twenty-two years. It is an investment – the benefits of which will be reaped by your children, Whittaker reminds. What you must know and be aware of? Things to remember about the art market is that the same piece of work is priced differently in different regions which in the industry is referred to as arbitrage. Which means one must find work by artists outside their region of demand. The market is unregulated which might seem unethical but it is an unspoken rule. The market is relatively small and it works on gossip and insider trading. If at a particular auction all works by one particular artists are sold, confidence goes up and inventory value goes up. Transparency. Diagram conceptualized by Phil Whittaker. Transparency of the actual value of the piece of work and details are very low. 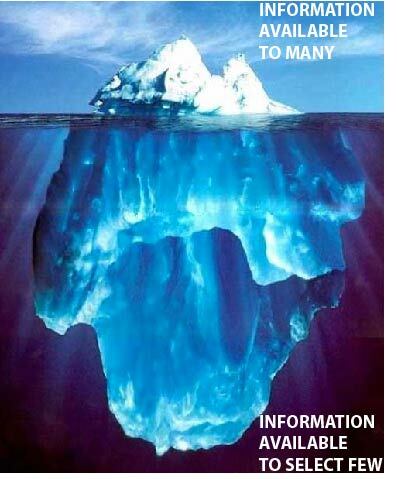 Very little information is available to all and very few are aware of the entire story. Art cannot be sold immediately and therefore liquidity risks are high. Money markets are homogenous whereas art markets are heterogeneous. Money is divisible and in a horse race one can see who is leading and going to most likely win whereas in the art market only when one sells is the price of a piece of work revealed. Money markets are accessible and open to all where as access in the art market is limited – art is sold only to a select few, which only helps the price of a piece of work to rise. If a good well-known collector picks up a piece of work the value only appreciates. Buying art through auction houses is the most transparent and guarantees authenticity. One thing to note is that auction houses do charge a premium of 20% to 25% on top of the price of sale. If demand for a particular artists is high the price goes up, and work must be bought from an artist’s peak period for best value. A symbolic value of a piece of work determines the actual value of a work. If the work has been shown at museums and is owned by high-profile individuals and has critical acceptance it helps immensely. If work has been shown outside the artists region of origin it also helps immensely. That question can be answered by posing a few questions. Who has owned it? Where all has the piece of work been shown? What are people saying about it? How much has been discussed and written about this piece of work? An expensive piece of work is not necessarily considered good but a good piece of work will definitely be valued highly and assure good returns. One in 3000 artists gets to sell their work through an auction house. So who is going to be great? No one knows. When investing you must find a dealer you can trust. An art adviser and financial planner should be consulted. Also increase your own knowledge of art and do your homework. One must be cautious but buy passionately. Should one invest in Indian Art? Indian art is mostly bought by Non Residential Indians. The Indian contemporary art world is unstable and volatile as it is based on speculative pressure. Investing in Modern art is a wiser decision as it is more stable. If Art has a long holding period why must one get involved in the art market? It helps diversify ones portfolio; financial inventory. It is also a unique asset as art is insulated from economic shocks and has a high growth value in emerging markets. Also a high residual value: Good art = Good money. This entry was posted in Art, Culture, Indian Art and Architecture and tagged Alternative Investments, art, Art Market, Contemporary Indian Art, Emerging Markets, Gallery BMB, Investment, Phil Whittaker, Sotheby's Institute of Art. Bookmark the permalink.